Nurses use their knowledge and professional training to provide caring and compassionate service to promote, maintain, and restore health and provide support during the dying process. The profession requires critical thinking, specialized knowledge, effective communication techniques, and therapeutic interventions in a medical setting. Licensed practical nurses are an integral part of the health care team, executing their duties under the direction and guidance of a registered nurse or licensed physician. As part of the collaborative team, they must always acknowledge the rights of persons within their care. By so doing, they become active participants in the patient care plan. The Connecticut Department of Public Health establishes the standards of care, monitors nurse education programs, evaluates the practice as a whole, and ensures practical nurses function within the ethical, legal, and multicultural framework. Connecticut’s approved training programs facilitate a minimum 1500 hours in the classroom. The teaching is an interactive process, covering classroom, hands-on lab, and clinical practice to promote learning. The program prepares students to assume the role of licensed practical nurses in various healthcare settings. In order to satisfy the DOH requirements for licensure, it is critical that you enroll in an approved training program that follows the course of study recommended. Core areas of study include nursing principles, fundamentals of nursing, health and wellness, nursing concepts, medical-surgical nursing, maternal and newborn nursing, developmental psychology, pharmacology, pediatrics, and geriatric nursing. During the clinical experience, students should be able to demonstrate their skills by assisting patients with personal hygiene, dressing, eating and bathing, measuring and recording patients’ vital signs, administering medications, dressing wounds, and evaluation patients’ needs in assisted living facilities. They will also have the opportunity to collect samples for lab testing and prepare and administer injections under the guidance of a registered nurse or physician. Requirements for admissions vary by school, but may include a criminal history check, high school diploma, letters of references, prerequisite courses, TB test, drug screen, and immunization. Mandatory information sessions are a notable requirement for numerous practical nursing programs in Connecticut. The sessions provide information on the application and acceptance process and details on the course information and schedules. Upon graduation, students are eligible to take the Connecticut NCLEX-PN licensing examination. Duration and Cost of Training: Organizations such as the Connecticut Nurses’ Foundation provide much-needed scholarships for students who cannot complete their nursing education without financial aid. Many students rely on federal dollars to complete their education, which can cost approximately $13,000 for tuition alone. Textbooks, supplies, uniform, admission screening, administrative fees, and lab fees place added burdens on students. Students who fall short of the criteria for scholarship, grants, or federal loans, may use payment plans available at a few training institutes. The average duration of a certificate LPN program in approximately 12 months. Connecticut consistently ranks in the top 12 nationally for the NCLEX-PN pass rates for first-time testers. The state maintains an average rate of 85.5 percent, so it’s no surprise to learn that schools with low passing rates come under intense scrutiny. As a prospective nursing student, it is important that you review the NCLEX pass rates for the 20 schools approved by the board to provide nursing education. Apart from research and asking lots of questions during the school’s information session, you should review the candidate bulletin, which will provide details on the application process, fees, and your duties on exam day. One factor that affects students’ ability to pass the exam is the time between graduation and the scheduled exam date. After bearing the burden of tuition, some students need time to save the $200 to take the test and $150 for the state license. Students who wait to take the exam decrease their chances of success. To combat low passing rates, schools such as Stone Academy administer an exit exam to determine students’ readiness for the NCLEX. Payment vouchers and computerized instruction and school evaluations also help to prepare students for success. To register for the NCLEX, visit Pearson Vue online and register, or submit your application over the phone or via postal mail. Your next step should be to submit your application for licensure to the Practitioner Licensing Office. The Office will authorize testing if you meet all the requirements and advise Pearson Vue to send the Authorization to Test letter. Schedule the test within 90 days and take the letter and a valid picture ID to the testing center on exam day. All practical nurses must obtain licensure in the state of Connecticut. However, the Connecticut General Statutes allow graduate nurses to practice temporarily while awaiting results of the licensing exam. The period of practice, without confirmation of licensure, should not exceed 90 days after the graduation date; the practical nurse must practice with adequate supervision from a registered nurse or physician. The employee must cease practice immediately upon notification of failure of the licensure exam. Hospitals and other health care employees must verify the graduate’s completion of a nursing program before the nurse begins practicing. Eligibility for state licensure hinges on the applicant’s completion of a practical nursing program that provides 1,500 hours of theory over a minimum period of 10 months. Graduates of programs below the minimum requirements must substitute clinical work experience to compensate for the deficiency. Graduates of foreign nursing programs must arrange for a ‘Professional Report’ from CGFNS International to go directly to the Practitioner Licensing Office at the address provided below. Register with Pearson Vue to take the NCLEX. Do not submit the application for licensure until you satisfy the registration requirements with Pearson Vue. There are three ways to register for the NCLEX: over the internet, by telephone, or through the postal mail. Download and complete the application for state licensure by examination. Use the same name and address used on the application to Pearson Vue. Attach a recent photo to the application form. Contact the nursing education program coordinator where you completed the training and request your official transcript. The school should send the transcript in a sealed envelope directly to the Licensing Office. Answer ALL questions related to your professional history and provide a separate notarized statement explaining the circumstances surrounding the charge for all questions where you answer “yes.” Supporting documents, such as settlement or disposition, certified court copy, and other documents should also accompany the application. An incomplete application and supporting documents will expire after one year. You will need to submit a new application and fee after such time. The Department of Public Health may conduct a criminal background investigation to determine a candidate’s eligibility for licensure. The Department reserves the right to deny licensure to an applicant who has committed or found guilty of acts that are in violation of public health and safety laws. Each case is subject to independent review as the investigating officer considers several factors, including the nature of the act, the time frame in which it was committed, and the extent of rehabilitation the individual demonstrates. All documentation (transcripts, verification forms, etc.) must be submitted from the source – not the applicant. You can monitor the status of your file by emailing the Department. Upon approval of your application, you will receive written verification of the license number and the effective date. A completed application form that is signed and notarized. The application fee of $150 payable to, “Treasurer, State of Connecticut.” Cash and personal checks are not valid forms of payment. The Department accepts bank checks or money orders only. A recent photo attached to the application form. An official transcript of your nursing education sent directly from the nursing school. The transcript should indicate the credential earned and date of completion. Nurses trained and licensed in Canada can apply for licensure by endorsement with proof of successful completion of the Canadian Practical Nurse Registration Examination (CPNRE) with a score that is equivalent to Connecticut’s standards. French-speaking applicants must successfully pass the Test of English as a Foreign Language (TOEFL) with a score of 550 or over on the paper-based test or 213 or more on the computer-based test. A “Professional Report” sent directly from the CGFNS International if you completed nursing school outside of the United States. A completed Work Experience Verification form sent directly to the Department from your most recent employer. Verification of all licenses (current or expired) sent directly from each licensing authority. If your previous state(s) of licensure uses Nursys System, you may register to complete your license verification through Nursys. Applicants for licensure by endorsement may be eligible for a temporary 120-day, non-renewal permit after providing evidence of a current practical nurse license from another state and official transcript of nursing education. The Department of Professional Licensing will mail a renewal notice approximately 60 days before your license expires. They will send a final notice 30 days following the expiration date to the address on record. It is important to keep your address current. Effective October 2013, all LPNs must renew their licenses online. Licenses expire annually, and there is no inactive status for licenses. Failure to renew on time will cause your license to lapse, requiring a need for reinstatement. There is a grace period of 90 days whereby you can renew your license after expiration. The renewal fee is $60. A summary of your professional activities following your completion of the nursing education program – include work history, positions, duties, and dates. A letter from your most recent employer submitted directly to the Department. You can also use this form instead of the letter. Proof of completing a refresher course if you’ve been out of active nursing practice for more than three years. If you’ve been inactive for more than 5 years, you must complete an approved refresher course and complete the NCLEX-PN. Connecticut’s LPNs are among the nation’s highest paid. At a median wage of $25.15/hour, full-time LPNs in metropolitan areas take home $52,710 annually. Even those in the outlying areas take home salaries of $42,560 to $48,000 annually, which is well above the national average. The Bureau of Labor statistics continues to forecast a positive outlook for practical nurses – in spite of the economic downturn in the nursing industry. While the figures appear positive on the surface, the fastest growth in the industry is available for LPNs, who specialize in geriatric and home health care services. The aging population coupled with the growing need for healthcare in the home drives the demand for professional nurses. Therefore, a bright future for LPNs lies not within the walls of a hospital, but in long-term care facilities, nursing homes, and patient homes. Many LPNs are already experiencing the shift as hospitals in Connecticut focus more on hiring registered nurses rather than licensed practical or vocational nurses. Drastic changes in the health care system will continue to drive LPNs towards home health care and long-term care. Hospital administrators, in many instances, believe that hiring RNs improves efficiency due to their scope of practice that is broader than that of LPNs. No jobs for L p n in the state of ct. Don’t waste your time. Not true. Curently have 2 and turned 2 down. That’s not true, at all..
It’s very hard to find full time jobs I will not leave mine to go down to as needed .about 13 years ago it was a job to have and money to make . Not no more. Grace Schreiber read this ! For a new LPN who just finished school, no experience, how much do jobs start paying you as starting off? In CT right, so after I finish school and have done my enternship , hired I should be starting off with 25 an hour? OK thanks so much, I live in Hartford which LPN program or school do you suggest ti go to. 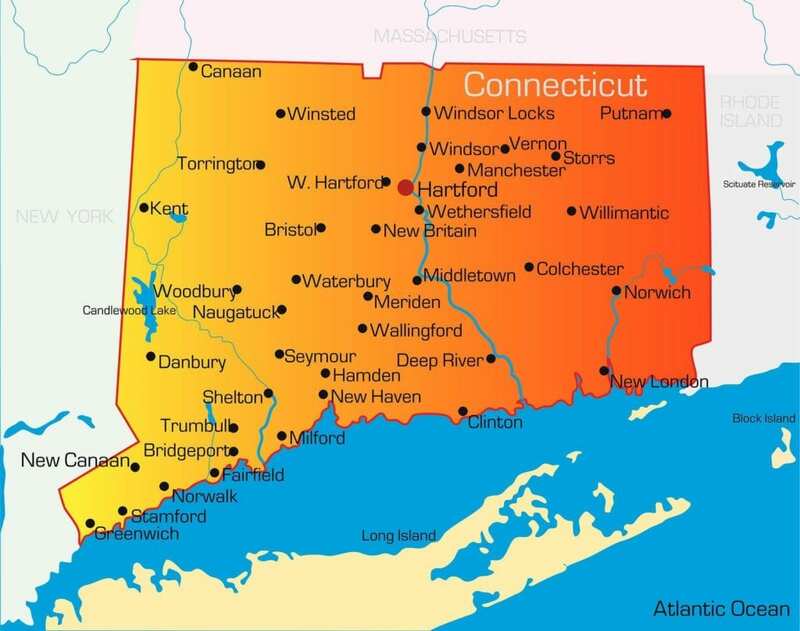 Honestly it depends which area of CT. New haven and Fairfield area pay more than jobs in the New London area. I keep hearing ppl tell me just go straight into RN because there isn’t going to be LPn existing anyone and they are not enough jobs for them. I also here that they are removing LPN. Yes. Soon there will be a requirement & have to a an RN. Phasing LPN’s out. Thanks cherice but you sudjest I go straight into rn program instead of rn, and how many months of school for LPN? This is TRUE ! Schools like stone academy are pushing people through for thier profit !! 30k to be an LPN ??? Come on really ?…they are pushing so many thru..but the reality is…most jobs require you to have experience and those that dont care if u have experience, pay lower … LPNS are being removed from hospitals as it is…Like I said..where are all the LPNS going to go for work in a couple years ?? Even R.N’s with only an associates are being forced to obtain a bachelor’s to keep their jobs..! I”m Lpn in Puerto Rico, my lincense is provisional, but is not active now ,I need review ,o take a test in ct because I live en East Hartford, I need other job because I “m working only 3 days in day Center and paid me every 2 weeks at 10.50 hrs in Connecticut the theory is 1,500 hrs and 1 have 1,770.hours but I”m not working with Lpn ,I need help about my degree . Im starting Monday for my LPN classes. Attending Stone Academy. I have been keeping an eye on job openings and I have see a lot out there. I’m gonna go to stone academy and take the test I took the test at Lincoln tech failed the english passed the math retook it and failed not a test taker get very nervous at times but I’m not gonna give up ? Nice! Good luck! I passed math, i though i had failed. I went to Bullard Haven Tech..
Good Lord… the grammar here is atrocious. Who in the hell has $30,000 for this course?